Earlier this week I taught three women how to knit! It was very gratifying to pass on this skill. 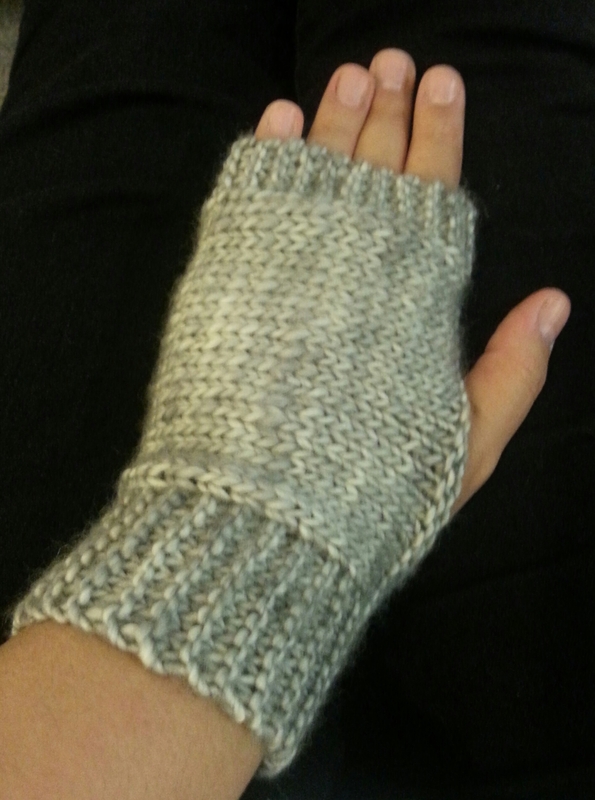 I used the pattern “Easy Fingerless Mitts” by Roxanne Richardson that is a free download on Ravelry. It is a great beginner project because it shows the knit and purl stitch and because you have to do two of them you get to repeat the cast on and cast off for more practice. I have never thought that a scarf is a good first project to learn. 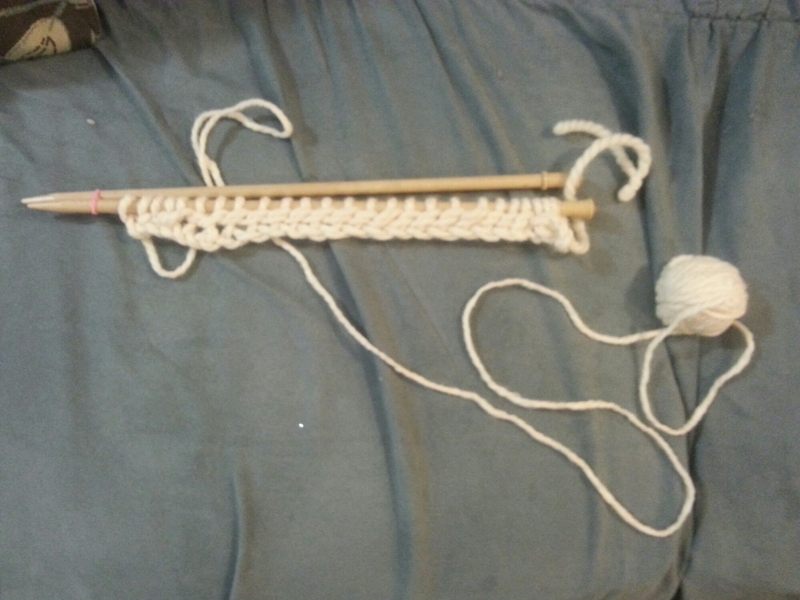 True, you get a better handle of the stitches by repeating it, but beginners either get bored with it because of the length or get discouraged because it looks so uneven with the inevitable dropped and/or added stitches. So that is why I liked this pattern. 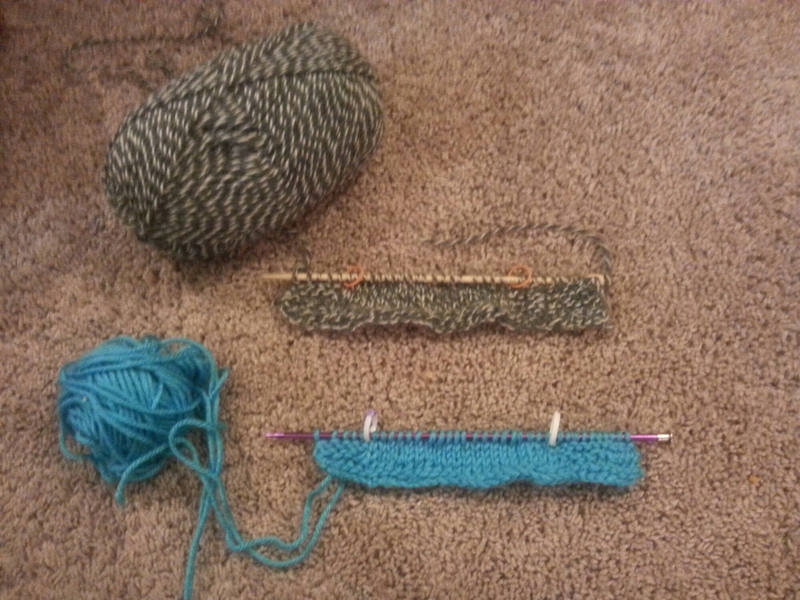 Here is the progress that my students made and the sample that I made with some left over gray Madeline Tosh. The first two, had already knitted in the past, they just needed a better understanding of how to do it and a quick pattern to see some progress. My friend with the white yarn had never knitted before and had a difficult time at first. I told her it was partially because the turquoise yarn she had originally chosen was too close in color to the blue metal needles she had bought, which made it harder for her to see her stitches. So I gave her some bulky white yarn from my stash and size 13 wooden needles so she could see things better and that helped her a lot! She was so excited she actually texted me at around midnight last night to show me that she had used up all of the white yarn. That is so satisfying to see someone feel accomplished! I hope they embrace this craft with as much love as I have.